Time Aloft: Maybe 15 minutes. Today was mostly a work day. 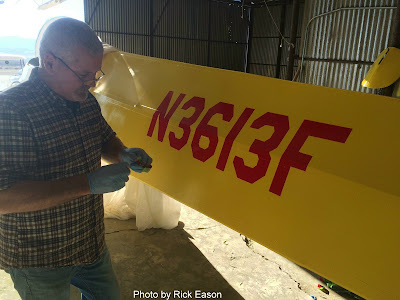 Mike Paoli worked on his Libelle some. Alex worked some on his on his Nimbus, then started clearing tumble weeds and trash from the street side of the clubhouse. Richard Walker worked on the main gate. 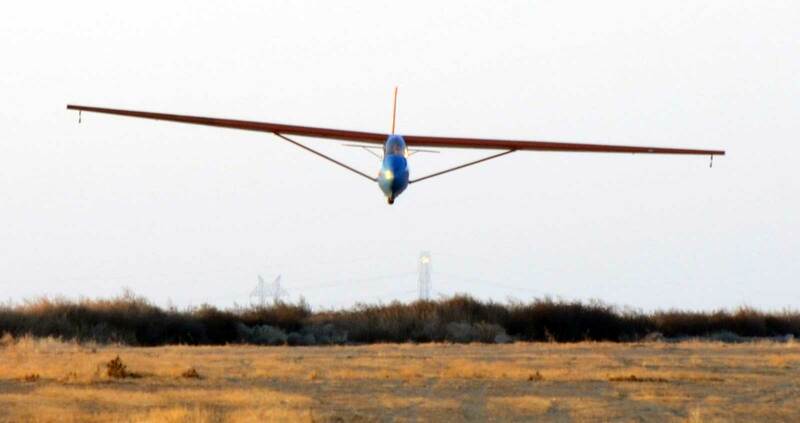 Mario Pauda took the only two glider flights in the Club's 1-26. 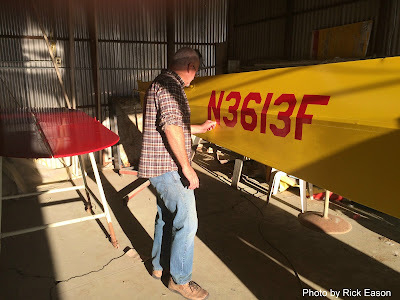 Mike Paoli was going to take the 1-26 up, but when the towpilot took too much time at Big Bird, Mike decided to put the 1-26 away and work on his glider. Jan hand paints the strip the was masked off to keep exterior paint away from the interior. 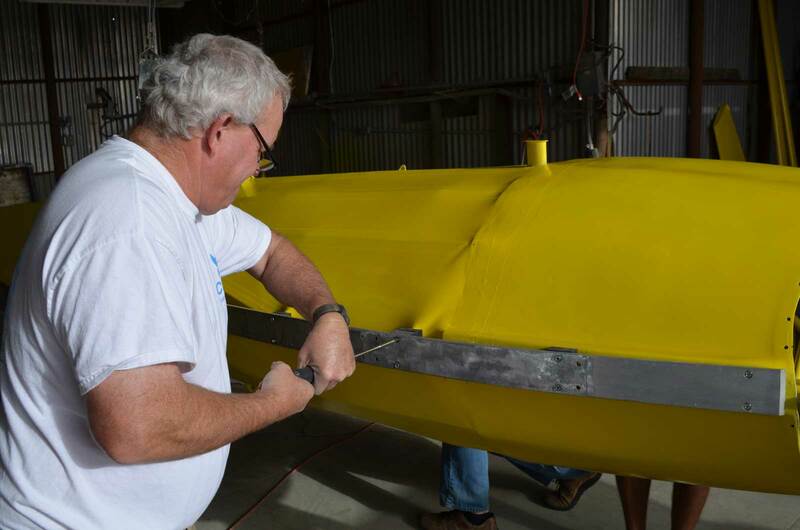 Martin Caskey tightens a screw on the skidplate. Larry Johnson is turning the ratchet on the opposite end of the screw. You can see Larry's legs poking out below, but the rest of him is buried in the fuselage in order to reach the nuts. Instrument Panel is in. 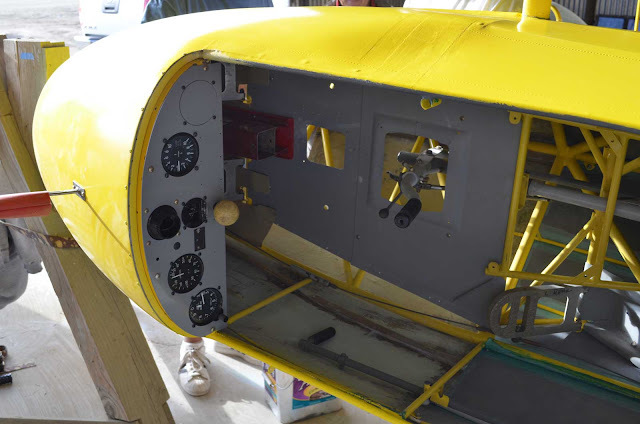 Pitot and static lines are run. Martin installed the wheel . tire brake assembly last weekend. 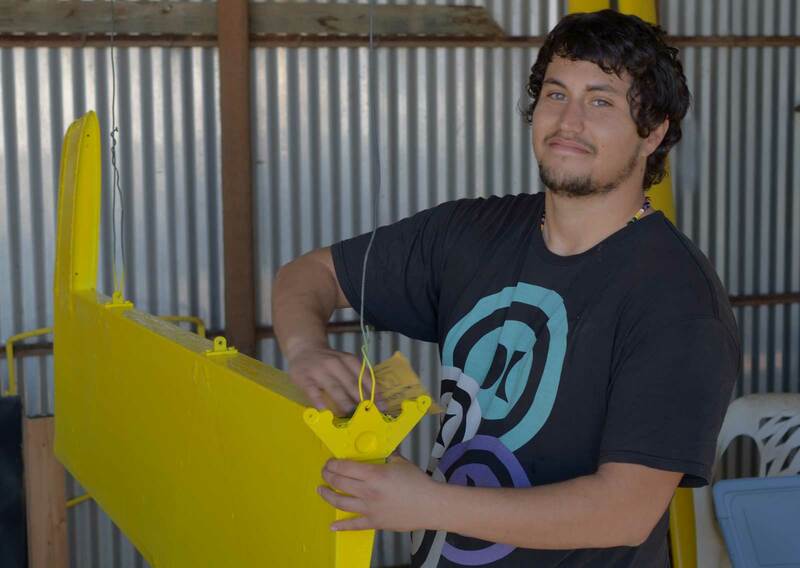 Max Lift: When the paint smell got too strong. But the dust devils tempted them. Temperature: Mid 70's, all day. Comment: Nice day to soar but unfortunately no one did. 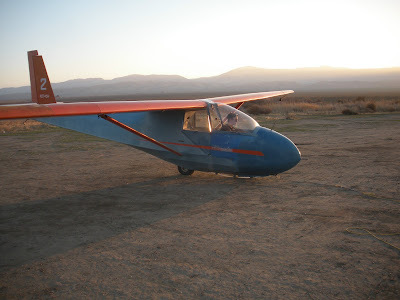 Julie and Morgan flew Santa Ynez. Click on the photos for larger sizes of all photos. 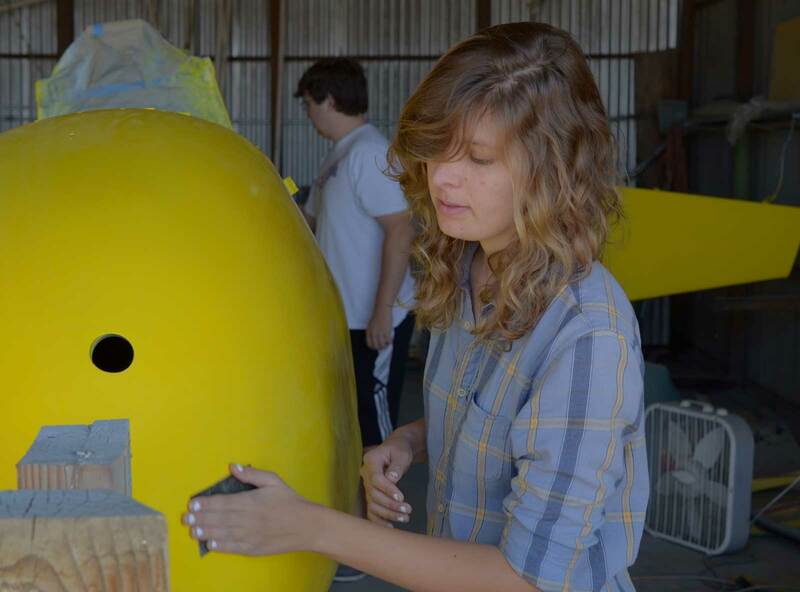 A lot of work was done on Big Bird during the week. 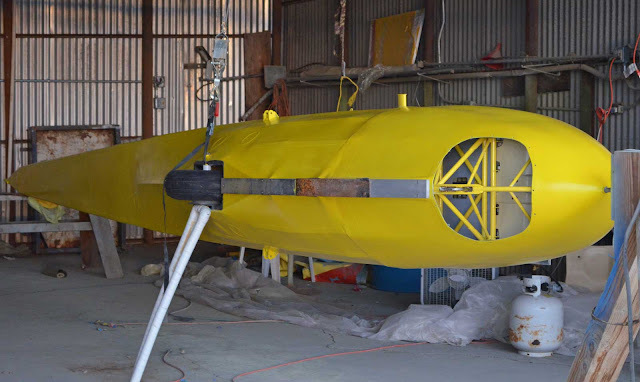 The pictures show how much progress has been made in final painting. Jan Zanutto and Rick Eason worked on it and the classy detail shows how much they care about the work they do. They were there during the week and not as tempted to go flying. 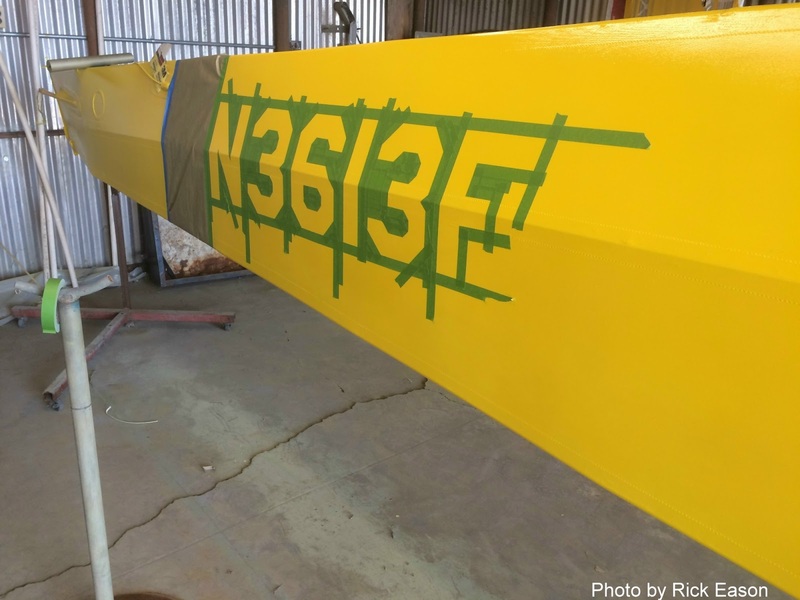 Doesn't Big Bird look great as it nears roll-out? 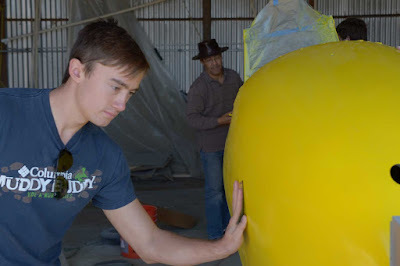 Martin Caskey arrived on Saturday to do more work on Big Bird. Jan and Rick taped off the N number on the fuselage of Big Bird. Jan Zanutto preparing for spray paint by covering the entire fuselage. 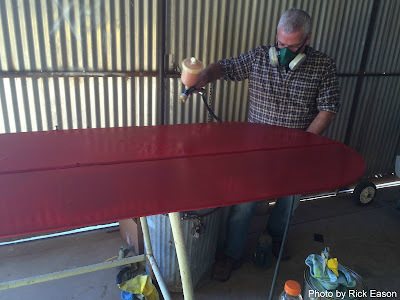 One coat of red paint will be followed by another until the red is opaque. 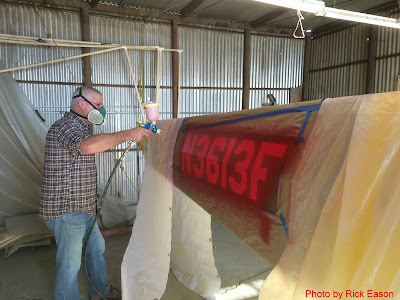 Jan spraying red color on the N number for Big Bird. 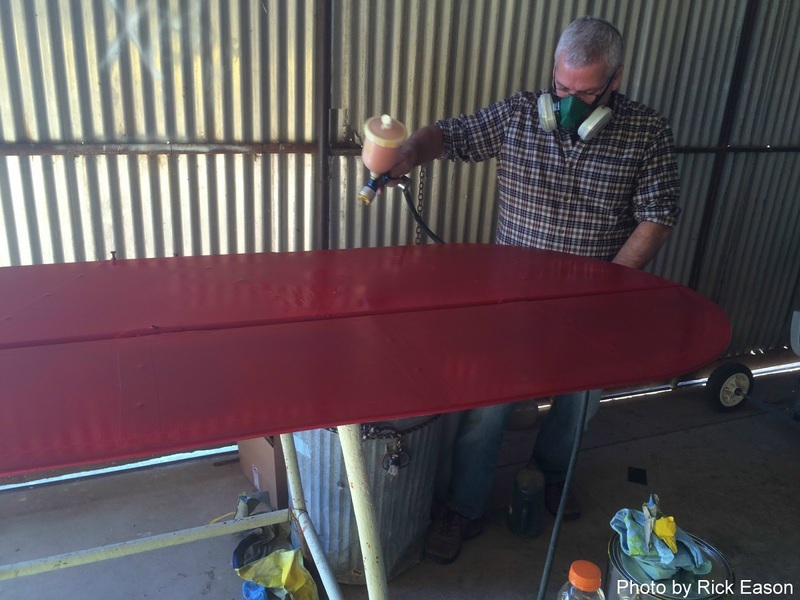 The horizontal stabilizer also gets a coat of bright red. 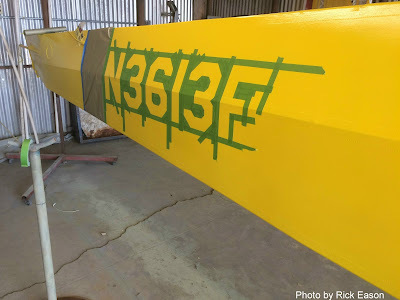 With the tape removed the number looks great, neat and clean and readable. A few small corrections here and there make perfection look easy. Morgan and I took the Duo down to Santa Ynez today for the fly in. The guys based out of IZA were there along with Kevin Wayt from Orange County, Buzz Graves and Matt Gillis out of Hollister, and Gary Ittner out of Inyokern. 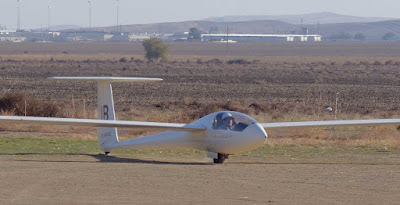 We launched at 11AM and towed to the ridge just south of the field under some nice clouds. We quickly climbed to cloud base and headed SSE above the ridge line. We encountered several hang gliders and paragliders along the way and stopped to thermal with one paraglider just west of Ojai. South of Lake Casitas, the cloud base rose from 7K to 10K+. We topped out around 10K about 10 miles N of Santa Paula and turned toward Pine Mt. We had a nice run all the way up to Morro Bay and turned over the ocean to head back to IZA. The day was shutting down quickly and after passing east of SBP and watching a C130 takeoff, we found ourselves a little too low to make it back to IZA. 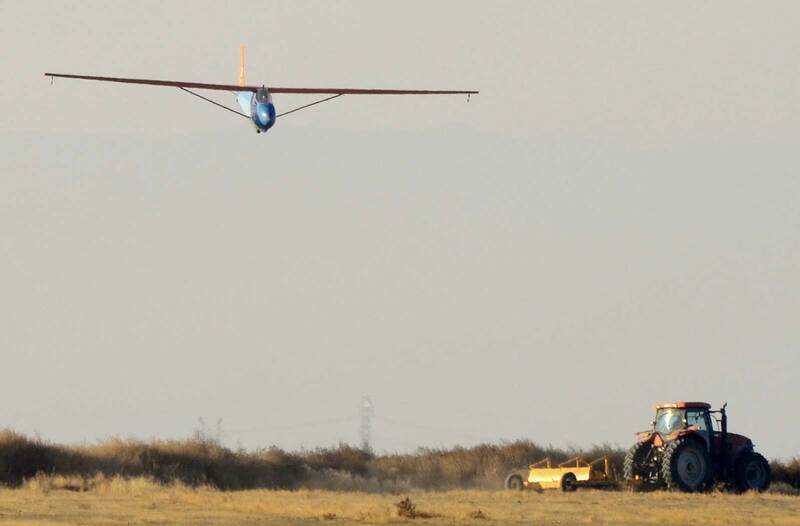 We attempted to arrange an aero retrieve before landing at Santa Maria, but were unsuccessful. 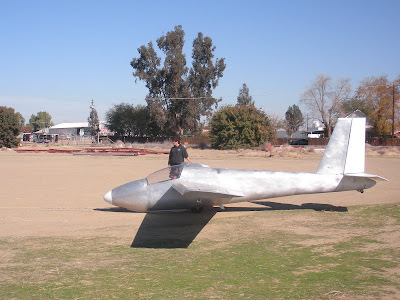 By the time we pushed the plane to parking and tied her down, we only had to wait about 5 minutes before Sean arrived in his car to take us back to Santa Ynez. Interesting day - even got to fly with 2 eagles SE of San Luis Obispo. 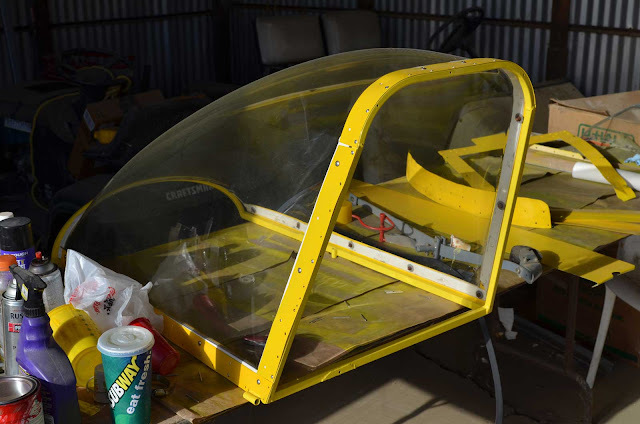 More flying tomorrow with a BBQ to follow in the evening. I went, worked on yellow thing. Sergio Grajeda and Larry Johnson came out and helped. No flying was enjoyed. Lots of teaser dust devils, working a line from the red barn northwest. Nice day, quite. Julie shared some photos and a little bit of the detail of our flight on Friday so I won't duplicate that posting other than to add what an amazing day it was and such a treat to soar all the way out over the ocean near our house and still manage to get back up in the convergence. Just a few minutes too late to get the last climb we needed to make it back into IZA. Playing it safe was the right move and landing SMX, though inconvenient for us and for Shawn who came and rescued us, was generally a non-event. Saturday, Julie dropped me off at SMX to prep the plane. She then drove to IZA and got in the Citabria that would be our towplane. They came back to SMX and we got ready to launch. I had already taxied (pushed) the glider from the hotel out to the run-up area at A8. When they arrived with the towplane, we layed out the rope, connected to the towplane and the glider. Julie climbed in the Duo and got situated. We then got clearance from the tower to push out onto the runway. 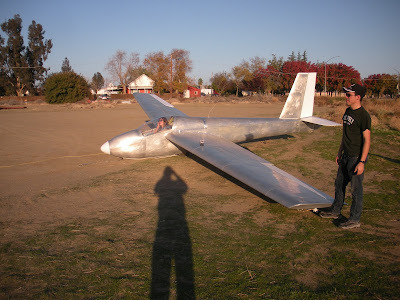 The towplane taxied ahead of us and I dragged the glider out far enough to clear runway lights. Spun it to point at the towplane and then hopped in. I had already done all of my major checklist items, so after hopping in it was just Belts, Canopy, Divebrakes and then takeoff. Total time on the active runway was probably about 2 minutes and no traffic was held up due to our activity. 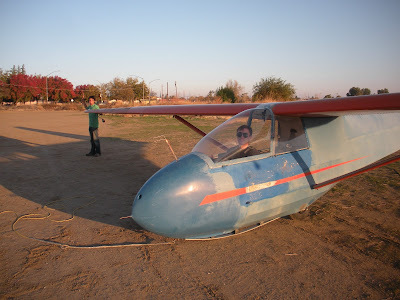 The flight was another good one, although conditions were softer so we didn't press as far west or east. Played it a bit safer to make sure we landed back at IZA. 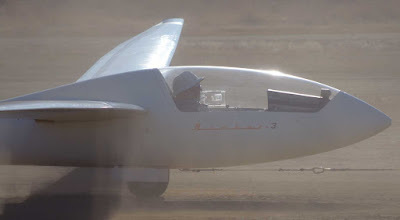 It was still booming at 3:00 when we headed back to land A convergence line had set up with a southerly flow and it had lift and clouds extending all the way out to Vandenberg if you'd wanted to fly to Lompoc and back. 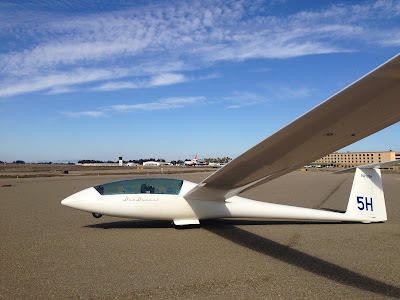 I want to encourage people, especially those with their own gliders to consider a trip to Santa Ynez during the winter. The mountains with their nearly due south exposure produce very good soaring all winter long. Maybe not exceptional days like we just had, but thermals and also very good wave. It's a very friendly environment and airport. 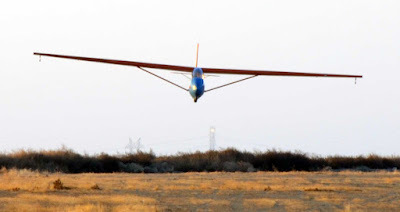 Busy, but the power traffic is generally familiar with gliders and easy to work with. Santa Barbara Soaring runs a smooth operation and you'll love the acceleration of a Pawnee compared to our 150/150. If you're checked out in the DG-100 and have some experience in it, it's available to take to IZA for a weekend. It's a great way to stay current during the winter and get some experience at a new location which is great for personal growth. 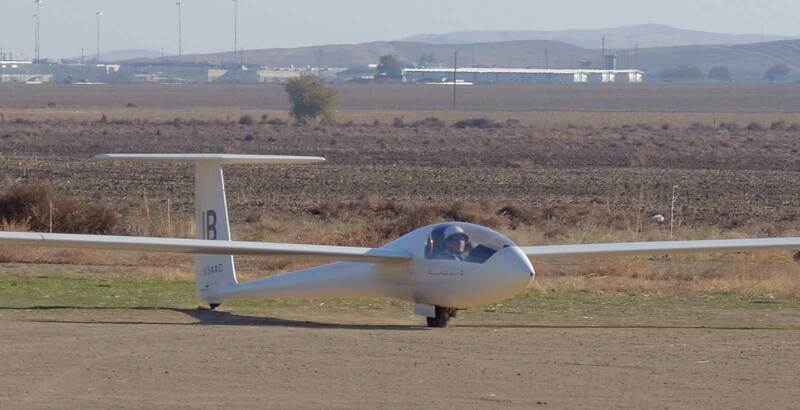 Glider launching at Santa Ynez. The Duo looks good even sitting on the ramp. Now that the holiday is over, we expect to see more members out at Avenal this coming Saturday. The weather might be good but check the RASP on Thursday for more exact weather predictions. Visibility: Hazy but more than 25 miles most of the day. Wind: Calm mostly but a slight East crosswind in late afternoon. Altitudes: Only tow height or maybe a foot or so above. Time Aloft: Alex Caldwell probably set the time record today of about 30 minutes or so. Max Lift: Likely about 100 feet per minute but rare. Temperature: Mid 70's, a beautiful Fall day at Avenal. Comment: Three solo students today, tying a record set ten years ago, 9-24-05. Tow pilot: Dan Gudgel, Julie Butler, for a total of 21 tows, a very busy day. TO SEE A LARGE SIZE OF ANY PHOTO JUST CLICK ON THE PHOTO AND YOU WILL SEE A SLIDE SHOW OF ALL THE PHOTOGRAPHS. Note: All the best photographs were taken by Jim Rickey, the rest by me and one by Joe Anastasio. 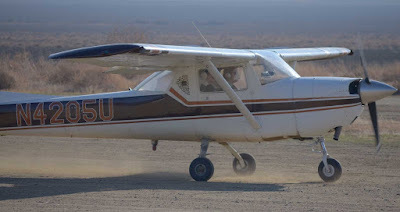 It was quite an amazing day for student flying and solo. For the first time in 10 years, three students soloed on the same day. Who were these people? They're from the newest and most active group we have had in the club in years. Cal Poly!!! Yea team!!! These fine young men and woman are a wonderful asset to our club and to society in general. They are going to be the leaders in technology and community in the not-too-distant future. They bring excitement, ambition, laughter, intensity, brainpower, creativity, and whatever else we can say about them. Each of these great young people are very different from one another but in many ways, so similar. Our club hasn't been this fortunate with such new members as a group in a long time. Of course we have had and continue to have new students that are excellent additions to our club. 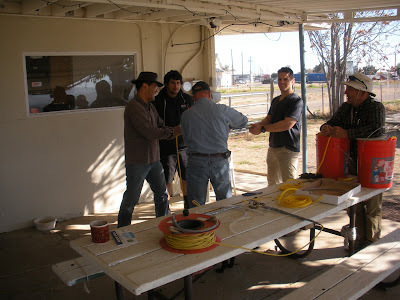 Lately we've seen Clark Woolf, Tyler Bishop, Roman Franco, Sergio Grajeda, Ed Mandibles, Harry Davies, Jamie Strickland, Steve Valentine, Rick Eason, Philip Gerfaud, Kavin Gustafson, Skip Breidbach, Mario Pauda, and others over the past year join our club and begin their training as individuals. And we're grateful for their presence in our club. 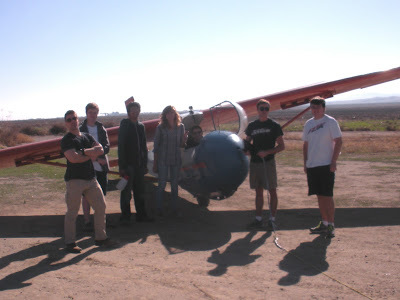 But it's tough to beat the group known as the Cal Poly Pilots, for adding members at a torrid pace. Most soaring clubs nationwide lament the fact that there aren't any young people coming into soaring. 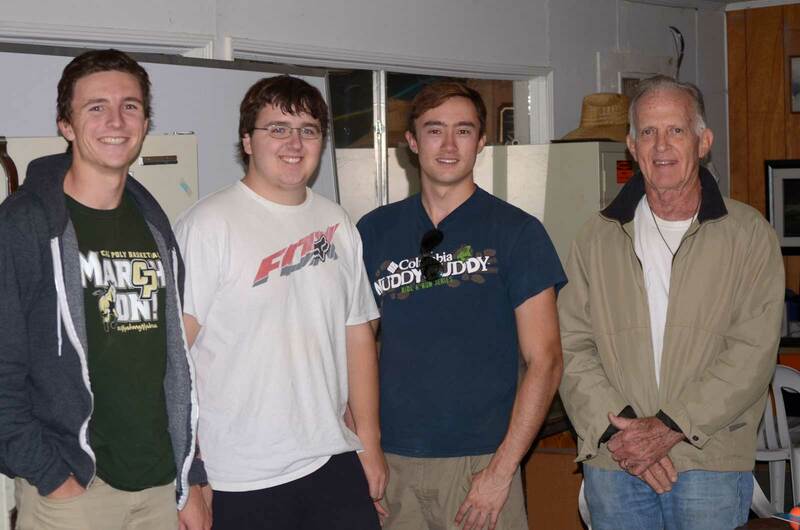 But, here at the CCSC, in a matter of just a few weeks, the Cal Poly group has changed all that for our club. We now have seven new members, all but one are solo pilots as of today, and looking forward to soaring together in the coming months. Here they are: Jennifer Bauman, Troy Wollman, Kyle O'Connell, Andrew Palmer, Griff Malloy, Luke Bughman, and Neiman Walker. CONGRATULATIONS EVERYONE FOR ADDING SO MUCH TO OUR CLUB!!!! We can't forget Harrison King and Ethan Lawton who came out last week. 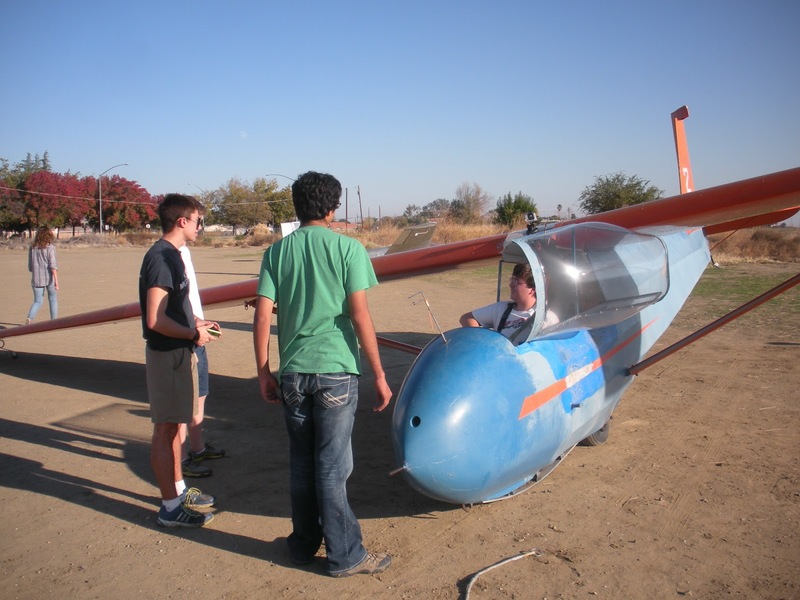 Harrison had his first training flight but Ethan chose to just get acquainted with the club and the flight operations. 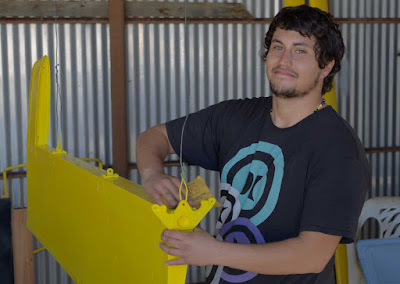 Sergio Grajeda also helps out a lot and has done so on the Big Bird these past few months. Jennifer Bauman always helping out whenever and wherever necessary. Luke Bughman is hoping to solo today, perhaps thinking about it as he sands Big Bird. Griff Malloy hopes to solo today so he sands as a way of calming down. 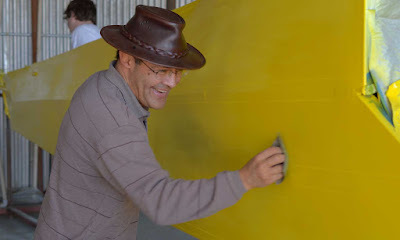 Mario Pauda takes his turn sanding Big Bird. 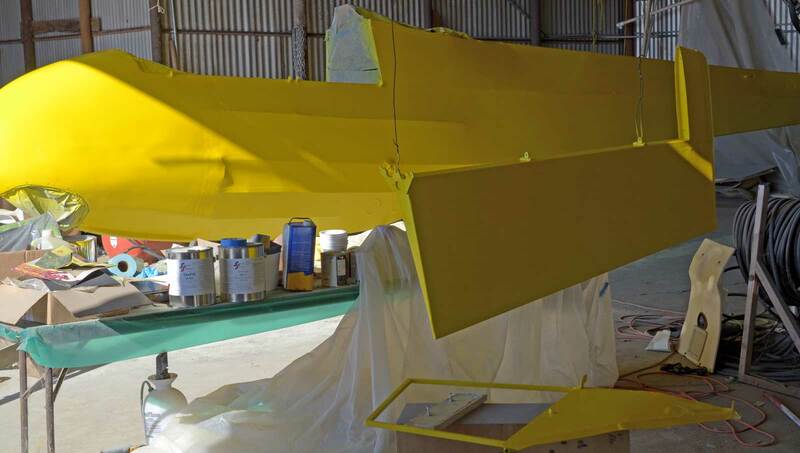 Big Bird has its final coat of yellow. We needed weak links in order to begin towing for the day. Christian Heidgerd, an NAS Lemoore pilot is back again after a lot of fighter flying. He visited us on July 11, 2015, to renew his CFIG and we hope he'll get back current again so he can help out here at Avenal when necessary. He's in the photo above, and below holding the right end of the weak link. Christian worked with Dan Gudgel this morning on towing, and is planning on becoming another CCSC tow pilot. Julie Butler adds the power to the towplane. Adding duct tape to the weak links to slow down the rate of wear during use. 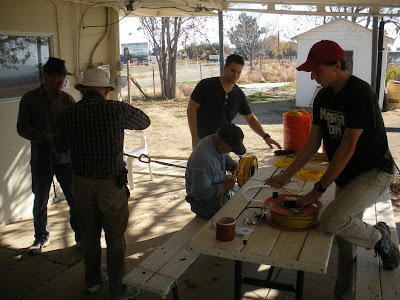 All gathered around while Troy Wollman installs video cameras for the upcoming solo flights. 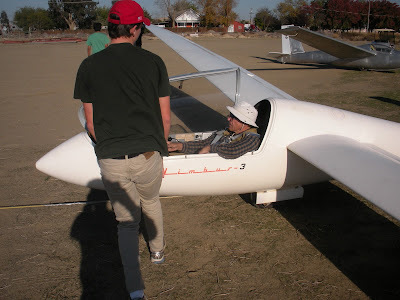 Mario Pauda ready to launch in the 1-26, a glider he loves to fly, and others do, too. Kyle O'Connell helping Alex Caldwell finish the pre-launch tasks before flying his superb Nimbus 3. Must be nice to enjoy flying that long-winged bird, the Nimbus 3. Distinct shadows in the dust. Up first for solo flight is Kyle O'Connell who took two training flights before this solo. 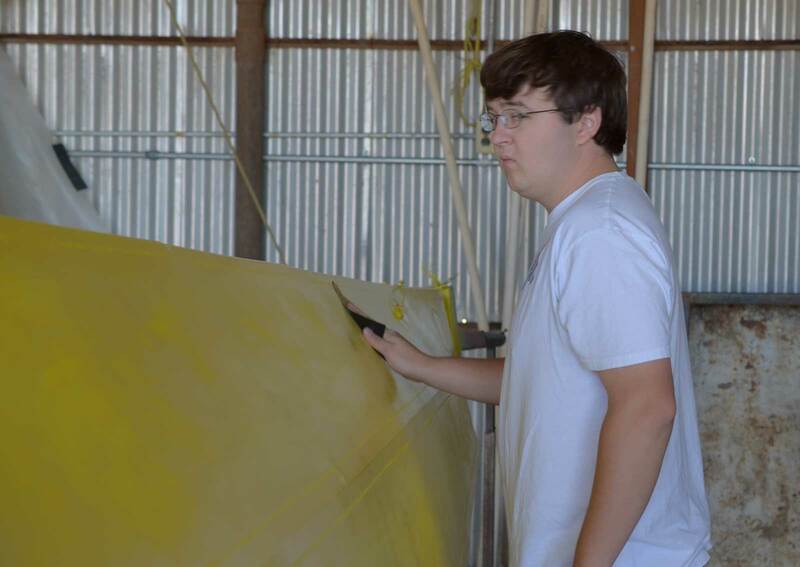 Kyle is ready now and looking forward to being back in the air solo after a long layoff. 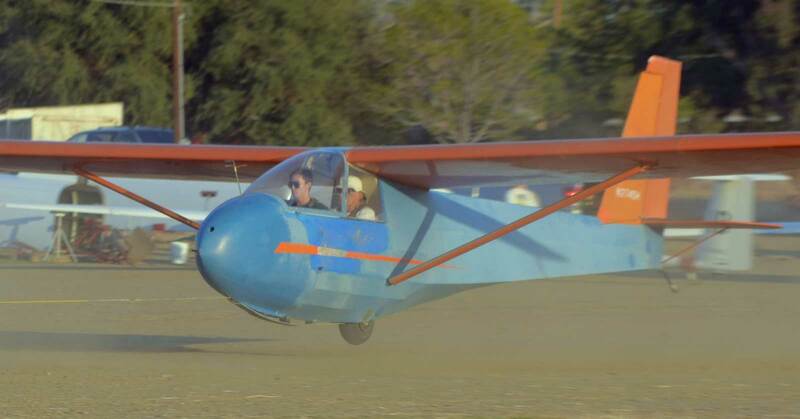 When Kyle finished his solo flight, Griff Malloy was ready and willing to go for it. A crowd gathers as Griff Malloy is about to takeoff on his 1st solo. 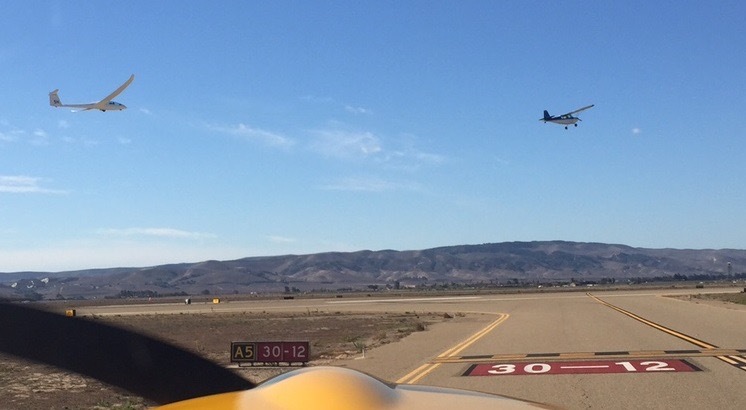 Liftoff on 1st solo for Griff Malloy. 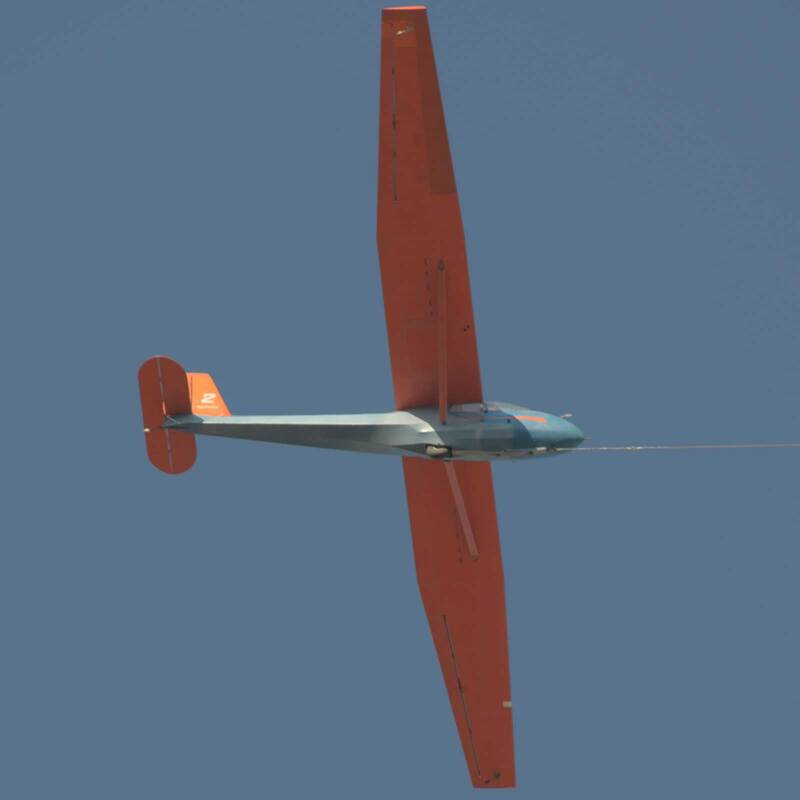 Alex Caldwell watches the proceedings from overhead in his beautiful Nimbus 3. 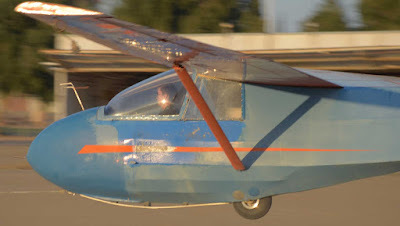 Still on tow as Griff Malloy passes overhead on his 1st solo flight. Nice touchdown on runway 13R. Griff Malloy is all smiles after his 1st solo. Jennifer Bauman ready for launch in the 1-26, a glider she loves to fly. Troy Wollman running the wing. Jennifer Bauman launching in the 1-26. Jennifer lands after her flight in the 1-26. Following her is the Orange Crush and behind that is the tow plane. 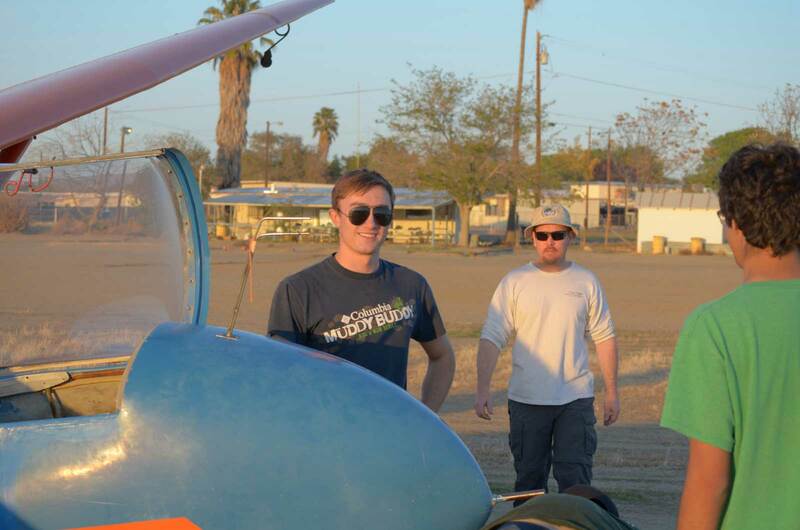 Harold goes up with Luke Bughman for one last flight before soloing. 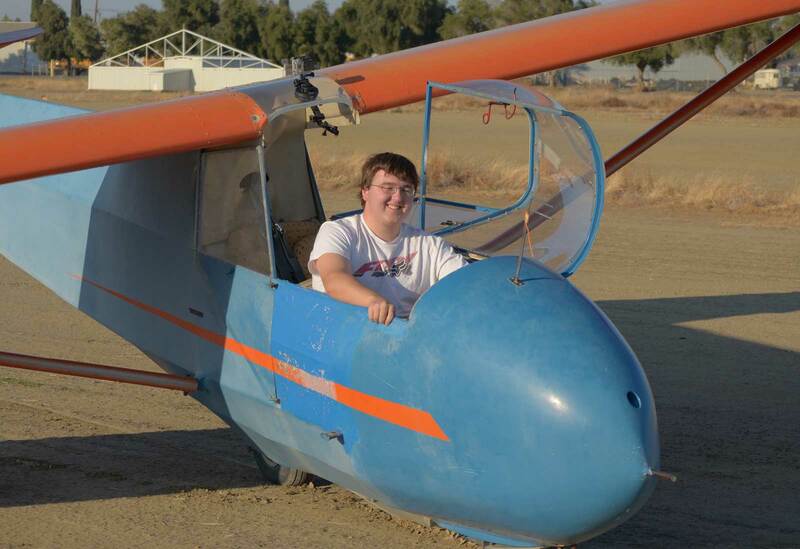 Now Luke is ready for his first solo, having done very well on the previous training flights. Luke Bughman's 1st solo takeoff has begun. 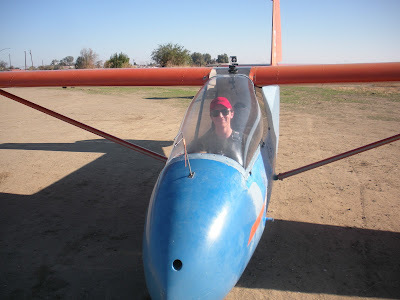 Luke Bughman is airborne on his 1st solo. Congratulations are handed out after Luke Bughman's 1st solo flight. Luke is on his second solo launch as the sun just about sets below the West Ridge. 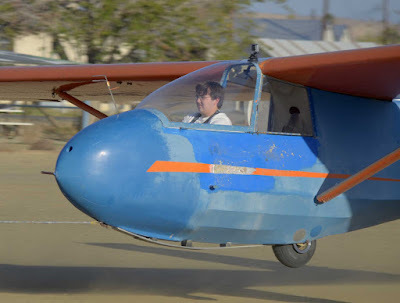 Harold is in the back seat again for another training flight, this time with Andrew Palmer. Harold watches as Andrew takes off on his sixth dual flight . Now it's Neiman Walker's turn to fly. He soloed last week and is now taking advantage of the cockpit-absent CFIG. Neiman begins his takeoff roll in late afternoon after all the other solo flights. Neiman is light on the gear as he lifts off on his solo flight this afternoon. The three solo pilots today, Kyle O'Connell, Griff Malloy, and Luke Bughman. 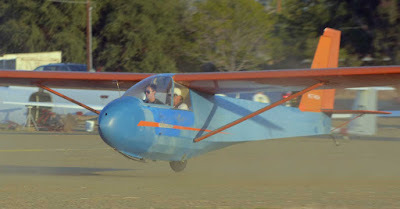 This is Kyle's second official solo, the first at Lake Elsinore many months ago. 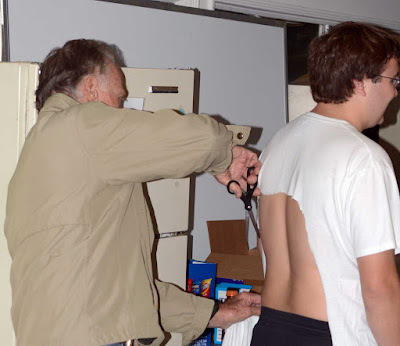 Kyle's shirttail comes off for the first time because it didn't happen on his long ago first solo. 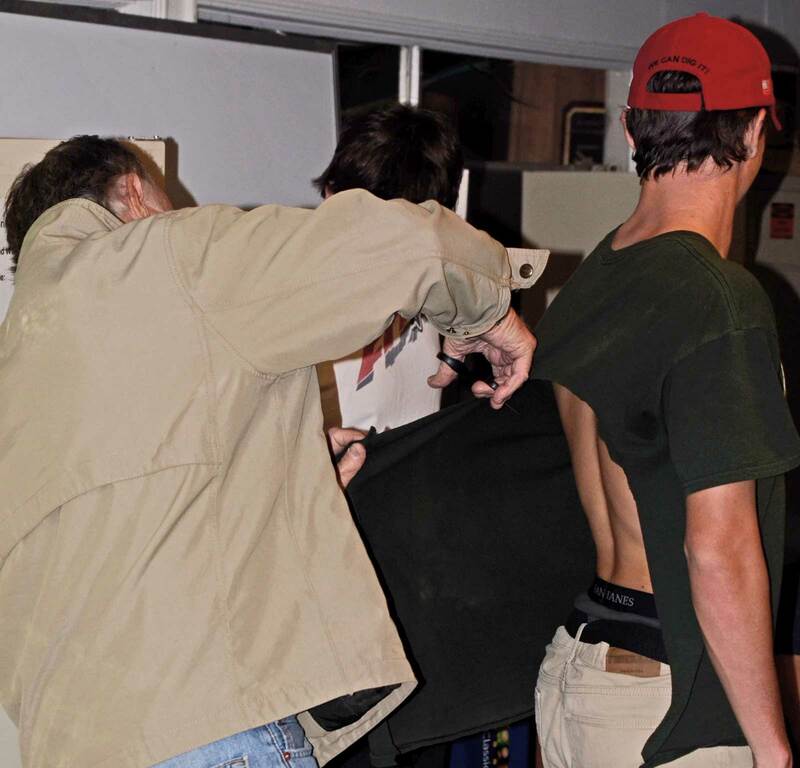 Griff Malloy loses his shirttail after a good day of training flights and the three solo flights. Luke Bughman said he never dreamed even a couple of months ago he'd be learning to fly and now he's a glider pilot. 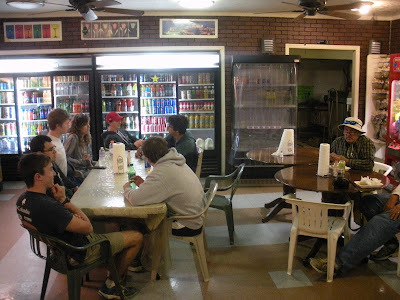 We headed to the burrito place for a celebratory dinner, Alex Caldwell and Jim Rickey at the table on the right. 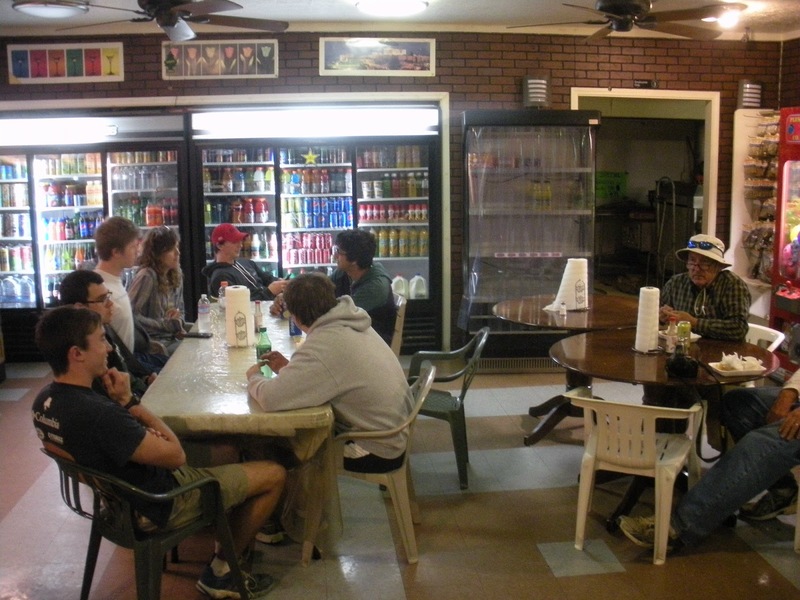 Luke Bughman, Troy Wollman, Neiman Walker, Jennifer Bauman, Kyle O'Connell, Andrew Palmer, and Griff Malloy. "...Throughout human history we have struggled to move ever more freely about our world. Our conquest of the air began with the first balloon. These flights suddenly gave us a whole other way of seeing. It was like the opening of a new eye. Our new vision has changed our very comprehension of our land. From up here, we see a country different from anything known at eye level in the world of the horizontal. This development of mobility and rapid transport has no parallel in all human history. ... We first flew in dreams. 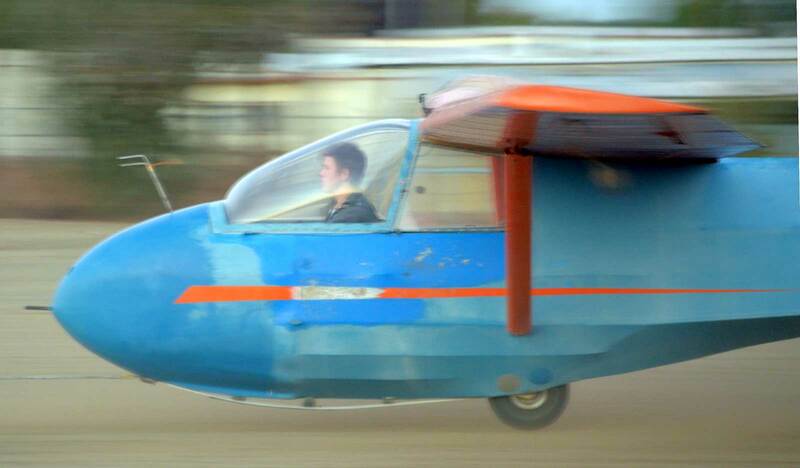 And the dream of flying has become real. We have extended our limits and seen our world from a new angle in a way that once would have seemed god-like. We have come a long way from the time when people gazed enviously at the birds in flight. Today we look upon our planet from afar and feel a new tenderness for the tiny and fragile earth. For we know now that even as we walk upon the ground we are ever in flight throughout the universe. And so we begin to realize that human destiny has ever been, and always must be, To Fly!" Today was fast and furious and most of all, fun. Thanks everyone. Harold Gallagher and Jim Rickey. *Copyright 1976, a National Air & Space Museum IMAX movie. The Smithsonian Institution, Washington, D.C.
A Presentation of Conoco, Inc. , a Du Pont subsidiary.